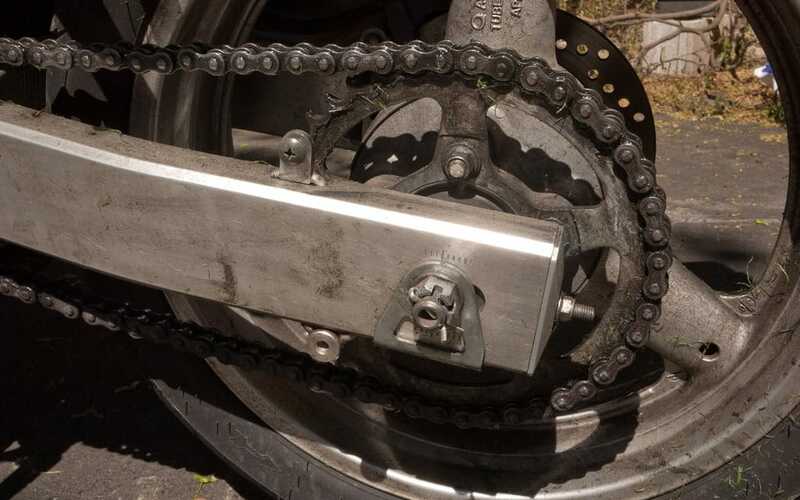 The one problem with shaft-drive motorcycles is, of course, that you never get to clean a chain. Gotta be the most rewarding aspect of owning a motorcycle, all that smearing of grease on your skin, breathing of fumes, losing fingertips between chain and sprocket—oh, the orgasmic joy of it all! And yet, every now and then, it’s nice to just get the darn job over and done with and not have to throw out your clothes afterward. 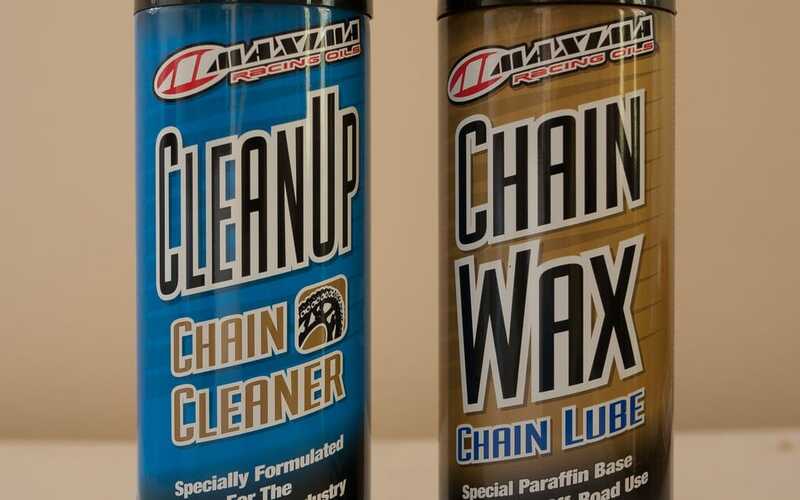 To that end, we tested Maxima’s CleanUp chain cleaner and were pleased with the results. CleanUp comes in a tall, 507 ml spray can that, depending on how often and thoroughly you clean your drive chain, should last a couple of years at least. Thornton used about a third of a can on the chain of his Suzuki SV650S, but it was remarkably filthy (or unremarkably, possibly, if you know Thornton). CleanUp went on in a tightly controlled spray, foamed up quickly, and then rinsed off nicely with just a hosing of cold water. With a little assistance from a used toothbrush on the rollers, it left the chain clean except for some areas of the side plates where, unless you’re entering your bike in a show, it doesn’t matter. We might not have applied it properly to some areas of the side plates, but where CleanUp touched the chain, it cut through the greasy, oily crud that had accumulated over a year’s use as quickly and easily as you’d want something like this to do that job. In other words: it’s great stuff. And yes, Maxima advertises with Cycle Canada, and no, we would not call it great stuff if it were crap. It’s not crap. CleanUp works, it requires little effort, goes on easily and comes off even more easily, and if we hadn’t had free samples shipped to us for review, we might even spend our own money to buy some. Along with CleanUp, Maxima was nice enough to provide us with a big (535 ml) can of Chain Wax. 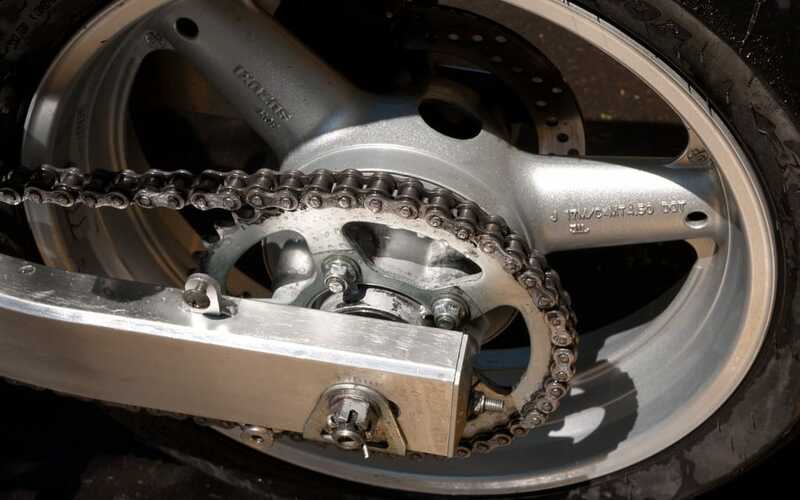 We gave the Suzuki’s drive chain an application of Wax after cleaning it and found that it goes on in a well-controlled, narrow spray, looks clean on the chain, and doesn’t appear to fling off easily. While modern O-ring chains are internally lubricated and don’t really need a spray-on lube, Chain Wax might help reduce shock and other forms of wear as the chain’s rollers contact the sprockets, doesn’t appear to be the kind of stuff (admittedly, we haven’t ridden the Suzuki enough to be sure of this, but we think it’s true) that will splatter all over your wheel and swingarm when you go riding, and is easy to use. Both products are priced around 10 bucks, maybe a bit more. The can of Chain Wax should provide a large number of applications, and the CleanUp, as well as making chain cleaning easy enough to be the kind of fun you always thought it should be, would be useful for other greasy cleanings, though you might not want to use it on last night’s lasagne pan. Don’t eat it, in other words. And don’t spray it onto waxed surfaces, either, unless you want them to become unwaxed surfaces.